Have you needed to find buy here pay here dealerships near you? If you have, we here at Auto Credit USA Columbia City offer buy here pay here for customers who need help because of credit issues. If you want to find a dealership that offers you bad credit car loans you have come to the right place. We provide customers like you the freedom of getting a car loan without the hassle of being turned away from other dealerships who only give loans if your credit score is perfect. When you know that your credit has suffered a bit in the past, and even if you cleaned it up some, your score only went up a point or two. That doesn't help much when you need a car. If you are in need of bad credit dealerships, we have several to serve you. Columbia City, Auburn and Fort Wayne IN. Getting a car loan is an essential step to having better credit and being given an opportunity to redeem yourself is a beautiful accomplishment. No one wants to go into Albion car dealerships and be turned away time and time again. It becomes very frustrating to continue to deal with rejection from other car lots when all you want is an opportunity to purchase a car for yourself. Having a vehicle is a vital part of our lives, and we want to help you have your freedom back to be able to run your errands, go to work, take your children to school, go on trips to see your family, or vacations. Those are some of the most important reasons to have a car. 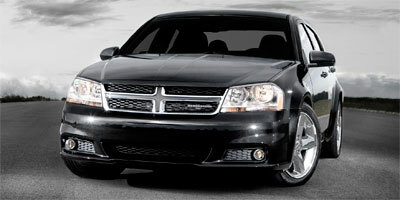 If you are looking for a more modern car, that is stylish and sleek, and that also is affordable; we have a 2012 Dodge Avenger at Auto Credit USA Columbia City. Stop by and take a look at this Dodge and you will want to be driving it home today with all the nice features and options this car has, you will like what you see. When you are given the option of buy here pay here, it allows you to get your auto loan directly from our dealership, and make your payments here as well. There is no go-between to deal with at our dealership. We provide you with a loan and discuss the fees that go along with your auto loan. We take into consideration your income and help you find a car that best suits your budget. No one wants to make an outrageous car payment they can't afford, so we take a look at all your options, so we can help you to purchase a reliable car, that you will be proud to own. If you are looking for Albion used car dealers that want to help you purchase a vehicle even with bad credit, we here at Auto Credit USA are standing by to help you achieve your goal of being able to get a car you deserve. Stop by and talk to us today and let us help you.